A car dealership group with showrooms across several key regions of England has reported positive revenue growth for 2015. Johnsons Cars said that its 30 dealerships generated revenues of £287.7 million in the year up until 31 December 2015. This figure represented a rise from the £270.3 million figure recorded in 2014. However, pre-tax profits declined from £1.2 million in 2014 to £676,000 during the entirety of last year. With new business and sales figures continuing to grow year-on-year, UK car dealers may be thinking of adding more stock to their showrooms. If so, it's important that they remember to review and if necessary update their motor trade insurance and road risks insurance to ensure that their changing quotas are always completely covered. The Johnsons Cars dealership group claims that further growth was stunted by the Volkswagen emissions scandal towards the tail end of 2015. A company statement about the effects of the scandal read: "Breaking in late September at the end of the largest sales quarter of the year, it caused a significant deterioration in the financial performance of five Volkswagen, solus SEAT and solus Skoda businesses, most notably in the new and used vehicle margins. 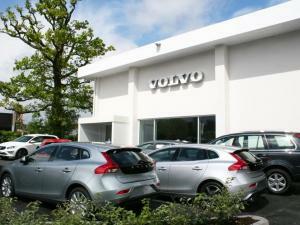 It must be noted also that the car dealership group sold its Volvo aftersales firm based in Hereford during the 2015 financial year — a sale expected to generate an additional £100,000.